Thomas Mapfumo is "The Lion of Zimbabwe.” The most important musical-political force in the struggle for self-rule in Rhodesia (now Zimbabwe) and one of the best-known artists in African music, singer-songwriter Thomas Mapfumo modified his style once Zimbabwe achieved independence, but due to increasing unrest in recent years his music has become as adamant as in the early years. Mapfumo’s electric African music is as infectious to dance to as its lyrics are intellectually challenging, and it continues to evolve as current homeland crises inspire his latest music. 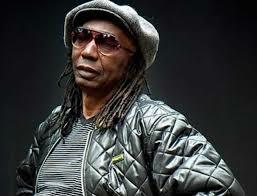 While the songs are often politically pointed, the music has a lilting, hypnotic pulse that Mapfumo and his Blacks Unlimited band created in the late 1970s by transposing the Shona people’s griots’ ancient mbira (African thumb piano) to electric guitars, bass, drums, and horns. They then blended in blues and jazz elements to create “chimurenga music” (chimurenga means struggle in Shona). It was a style promoted by Mapfumo’s Hallelujah Chicken Run Band (whose recordings are available on a reissued CD collection) before he launched his own Blacks Unlimited group. Mapfumo also brought new pride to nearly discarded traditional culture by singing in the ancient Shona language.